Hello Stampers! Sitting Pretty is one of my favorite bundles in the upcoming catalog. 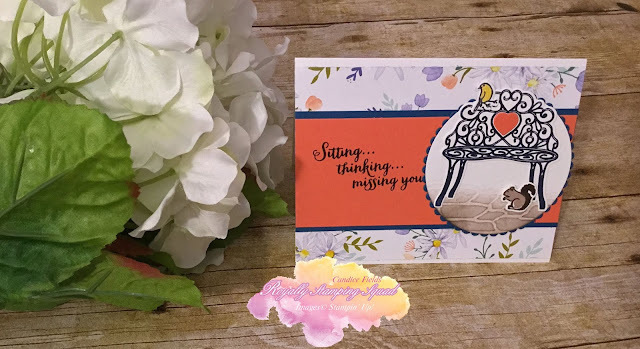 I have a lot of retiring products that need to get used up, so I decided to use some to make this card.